 If you have any concerns about your oral health, or would like the opinion of a dentist on any trouble you are having with your teeth, mouth or gums, then don’t hesitate to give us a call, or use the contact form below to get in touch. EMERGENCY OPENING TIMES OVER CHRISTMAS. PLEASE LIKE AND SHARE, SOMEONE MIGHT NEED US !